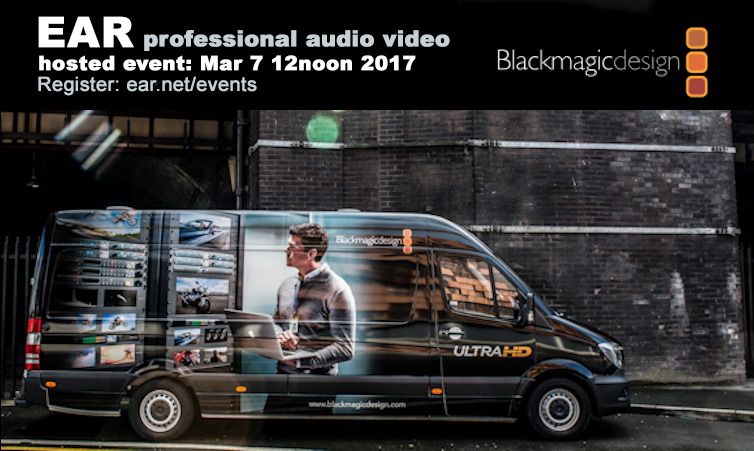 See the all new 4k Black Magic cameras, switcher and processing. A unique sneak preview for NAB 2017 at EAR. See products generations ahead of the competition including 4k broadcast production hardware, IP streaming, local record to SSD card, wireless control, all new optics and much more! You can even meet a factory engineer and get a personal hands on look at product never seen before in North America. Register now and we’ll keep you updated on event details as they develop.